A visit to the eye doctor should be a part of your regular health routine. These visits can help to address common vision problems, such as blurry vision, dry eyes and the need for a new prescription to help you see more clearly. But regular exams can also uncover problems that can negatively affect vision, such as glaucoma, corneal disorders and diabetic retinopathy. Your optometrist in Kay & Houston works with other eye professionals in the area to help you maintain good eye health at every stage. 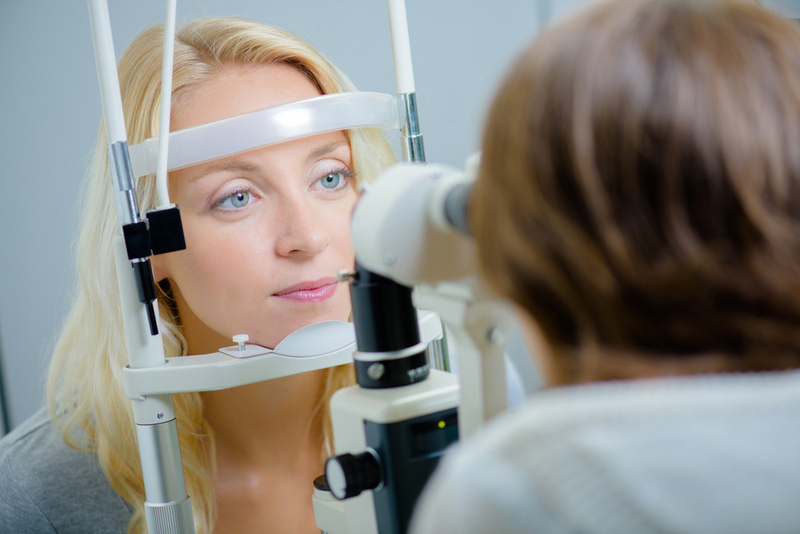 Ophthalmologists are able to diagnose and treat a wider range of eye and vision problems than your optometrist. They do eye surgeries, such as LASIK vision correction procedures, laser surgery to treat glaucoma and macular degeneration, as well as complex corneal procedures and cataract surgery. However, your optometrist can provide important pre-surgery screening and post-surgery monitoring to ensure proper healing after eye surgery. When your optometrist recommends specialized eye care from an ophthamologist, it means they have detected an abnormality in your eyes that requires additional treatment. The ophthalmologist can provide eye surgery and additional medications that will ensure that the problem is appropriately treated. These additional measures can be important for preserving your vision. Our optometrists and staff are dedicated to good eye and vision care for all our patients, in Houston, TX, Katy and surrounding communities. We offer a range of vision care services, such as exams, contact lens fitting, computer vision and dry eye treatment, as well as providing referrals to other eye professionals, when needed. Call Eye Site today at 281-644-2010 in Katy or 713-984-9144 in Houston (Memorial) for an appointment to have your eyes checked and to learn about ophthalmology services in your area.